We are powerless to prevent the global scorching that will ensue in the next 20 years: it is a consequence of carbon already in the atmosphere. We are powerless to prevent the extinction of species that have already passed the point of no return. Great swathes of the world have been devastated by pollution and over-industrialization. The world's oil represents, as Thom Hartmann once put it, “a billion years of ancient sunlight,” and we will use up those resources within another generation or two. Against these harsh facts we can merely acknowledge that what is done is done. And those of us who believe that the Jewish people can or could or should make a difference must reckon with a further level of insignificance. We, who were one percent of the world's people a century ago, are today barely two-tenths of a percent of the world's population. If every Jew in the world traded an SUV for a Prius and never boarded an airplane again, it would not halt, much less reverse, global scorching. Putting a solar-powered ner tamid in a synagogue is by itself a pinprick upon our planet. It is inconsequential, and we owe it to our own intellectual integrity to acknowledge this fact. We must begin by acknowledging that a considerable part of our present behavioral shift is rooted in embarrassment. We're realizing that placing a plastic bottle into the world's oceans for a century or more is a ludicrous price to pay for the five minutes it takes us to drink the bottle's contents. We have grown up with behaviors that are morally indefensible. They are entrenched by custom, but they wither in the face of clear thought. So we are slowly becoming embarrassed by our own behavior, and we are effecting change as self-realization dawns. This is not a bad reason to change one's behavior — I think it's probably quite a good one — but it's important to acknowledge what's happening because we rarely seem to own up to this sort of thing. After embarrassment, the next step is the desire to feel we're doing something useful. Just as smoking became socially unacceptable, so now our institutions use recycled paper, we print on both sides, we reduce our disposables or switch to ones that are compostable. Yet if we add up the aggregate impact of all these activities they turn out to be fairly marginal. Even if adopted not just by every Jew but by everyone alive today, those activities wouldn't halt our deeply dangerous experiment in climate change from spiraling out of control. This is why we need larger and clearer goals. We need to integrate education, action, and advocacy. And it's why we need a clearer strategy for what we're trying to do. If we are serious about being or l'goyim (a light unto the nations), our goal must be a healthy and sustainable world for all its inhabitants. It means acting to slow the damage and then steadily working to ameliorate it. The role of education, and the work of nonprofits and faith communities, is to touch people's lives so that we act differently as citizens and consumers. But education is only the first step: action and advocacy are vital. When a government introduces a $50 fee to drive an SUV into Central London — a fee that will take effect later this year — they do so when a sufficient critical mass of public support endorses such a decision. When Wal-Mart or any other major business goes “green” in serious ways, they do so because they believe that competitive advantages will ensue, that a growing number of consumers want carbon-labeled products so that they can monitor and reduce their individual carbon output. This is how Jewish education relates to broad issues. We need to steadily change what and how we consume, to connect this to Jewish tradition, and to place this within a larger series of goals. That's why we ought to set the goal of reducing our carbon output by 80 percent, as a people, by 2030. That's why we must lead the change effort in the U.S. and must support the work of environmental organizations in Israel. We must green our institutions and integrate this process with serious Jewish learning. We should address in particular food systems, transportation, and climate change: these three areas connect personal behavior, Jewish tradition, and the largest issues we face today. All Jewish organizations should create a health and sustainability commission. The goals should be to green the institution, to reduce our carbon footprints by 80 percent in the next 20 years, and to integrate this process with the organization's broader mission. Nigel Savage, originally from Manchester, England, founded Hazon (Hebrew for “vision”) in 2000. Hazon works to create a healthier and more sustainable Jewish community -- as a step towards a healthier and more sustainable world for all. 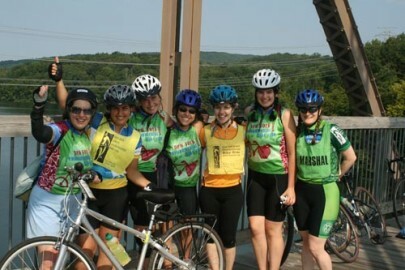 In 2000 Nigel led Hazon’s first major project, a 3000-mile Cross-USA Jewish Environmental Bike Ride, in which participants cycled from Seattle, WA to Washington, DC, teaching and speaking along the way. They ended at the White House where they received a national award from the EPA.